That's how many current Facebook users there are. More than likely, by the time you read this article there will be millions who have signed up for this social network. Even if you were to get a response rate of a fraction of a single percent point, your advertising would still be reaching a lot of potential customers. Effective advertising comes down to targeting your demographics. 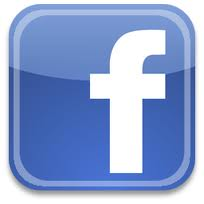 Facebook advertising allows you to get very specific in terms of your potential customer base. Not only can you focus on gender and age groups but also on the many "likes" that a Facebook user can tap into. If you're selling hockey jerseys then you'll want to get your ad in front of any fan of the game. Facebook can help position you to those demographics. Not only can Facebook help you focus on demographic groups but also on geographic locations. Everyone who signs onto Facebook has the ability to "mark their spot." This affords local businesses the chance to reach out to those customers who are spending directly in their community. As you prepare your Facebook advertising campaign you'll be able to project just how many users will see the ad. This is important for the kind of pay per click ads that Facebook excels at. You'll be able to scale your budget to fit the potential reach of your ad. That will make your marketing dollars have a stronger ROI. Whenever a Facebook user "likes" your company page, that "like" will show up on their news feed which in turn is posted on the news feed of all their friends. This can have a snowball effect of spreading your message even further as hundreds of more users are exposed to your ad. The Facebook ad allows you to use powerful images that can draw attention to your post. Because of the ease of accessibility, you can change up those images and find which ones work best for your campaign. The bottom line is that a billion potential viewers are logging onto Facebook on a fairly consistent basis. In terms of online marketing, this is really the greatest reach of any site out there. As with any type of advertising campaign there is no guarantee of success. However, with Facebook advertising you can start small with a targeted campaign, test its effectiveness and roll out a wider reaching strategy.